You know we’re all about DIYing it up in the accessory department. 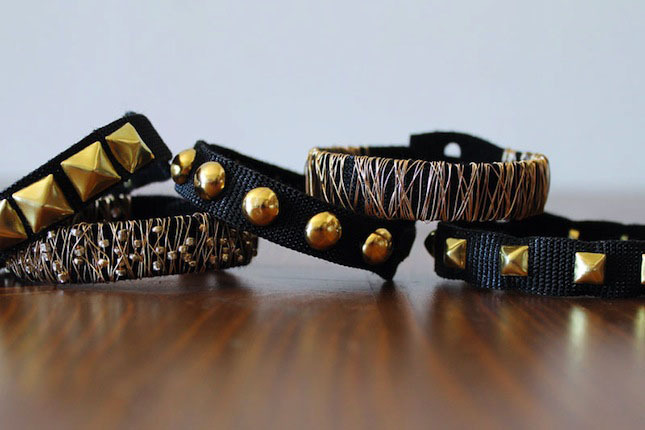 This month we’ve jumped headfirst into all sorts of handmade bracelets for our latest hack. 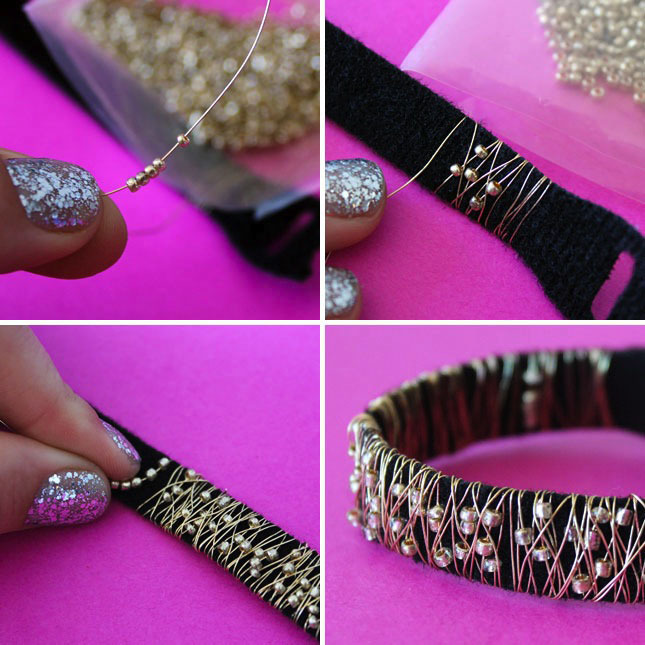 All you need is VELCRO® Brand ONE-WRAP® Straps, studs, beads, and wire, to make your own set of 5 stacking bracelets. Let’s get to it! The great thing about VELCRO® Brand ONE-WRAP® Straps is that that they are adjustable and fit right on your wrist. 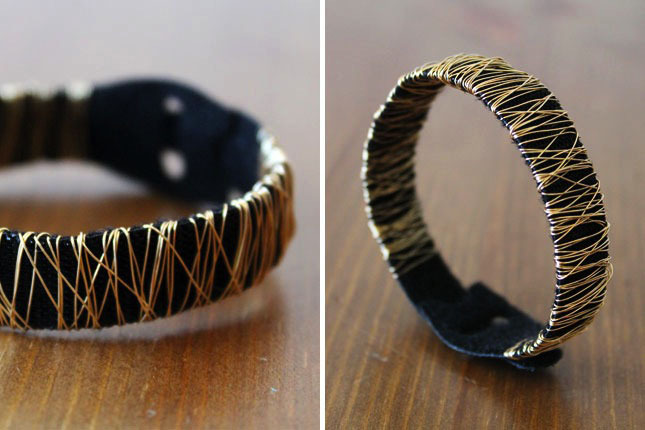 It’s like they were made to be turned into bracelets! 1. 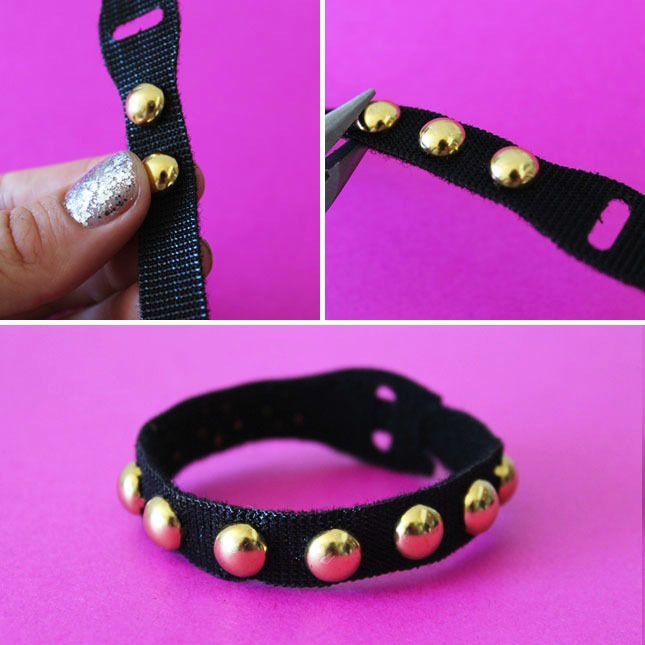 Stud It Up: This first one is all about getting as many studs on your bracelet as possible. 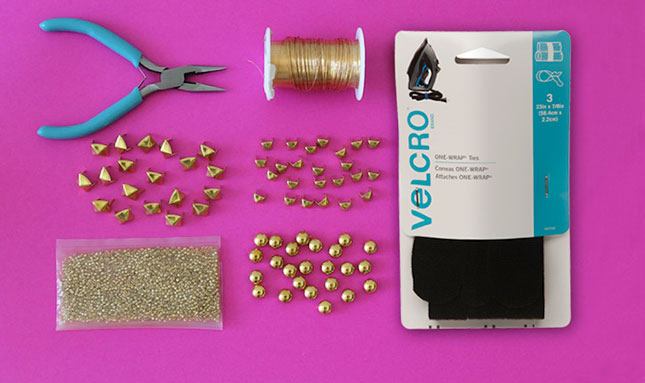 Press your studs through a black VELCRO® Brand ONE-WRAP® Strap and use pliers to secure on the inside. You want to make sure the loop side (aka the soft side) is the one facing your wrist. Continue around the whole wrap and you’re done. 2. Wire Web: Next up, we’re revisiting an old favorite of ours. 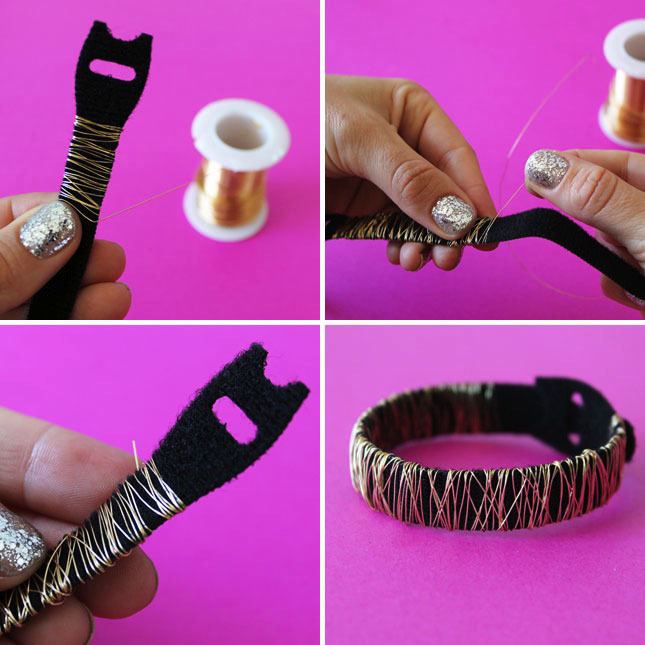 Simply take wire and wrap it around your next VELCRO® Brand ONE-WRAP® Strap. Keep going for the length of your wrap, and you’re done. 3. 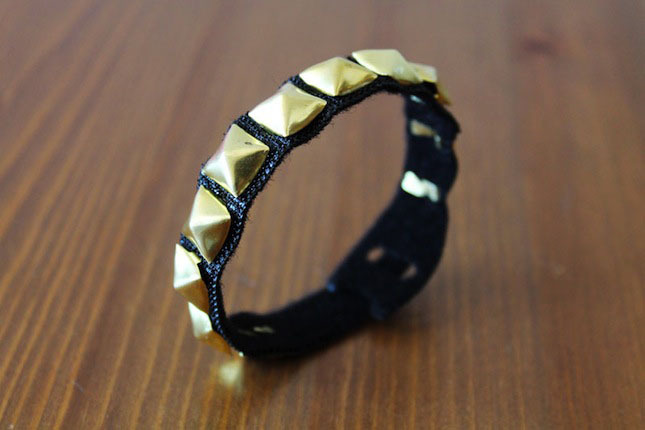 Round Studs: We grabbed a few round studs and got to work on this next easy bracelet. 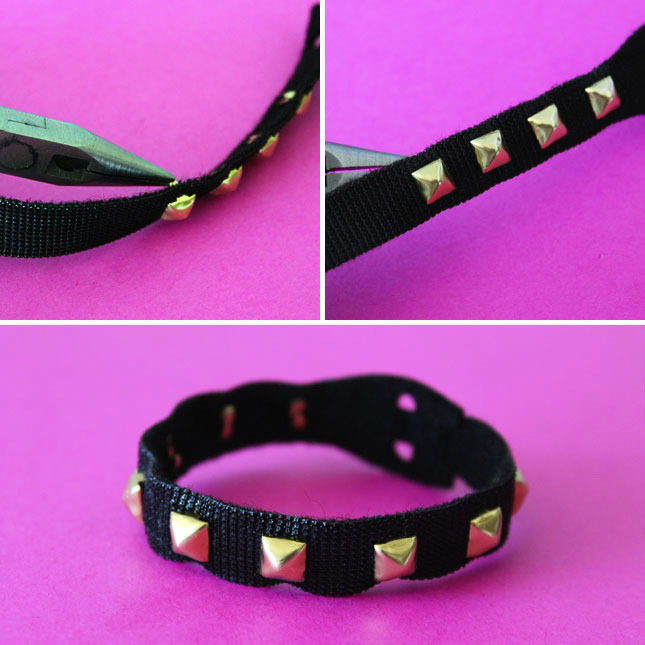 The process for this is exactly the same as the first studded bracelet. 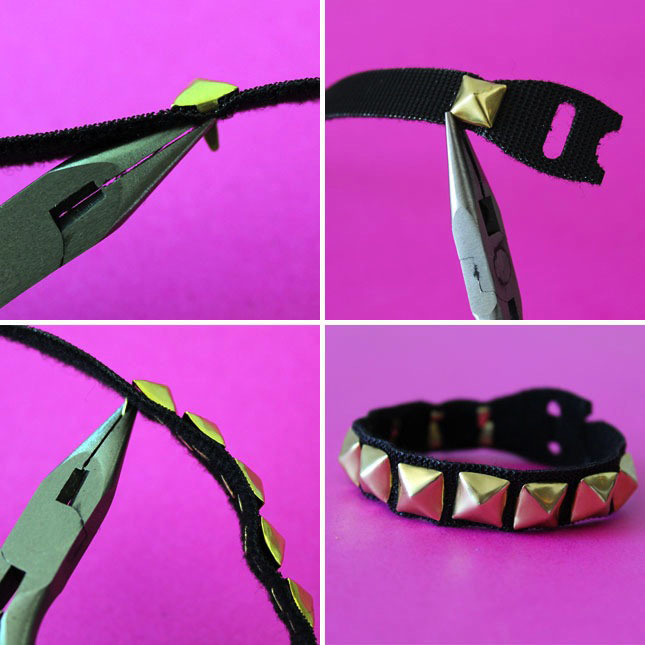 Press studs through the strap, use pliers to secure, and wear! 4. 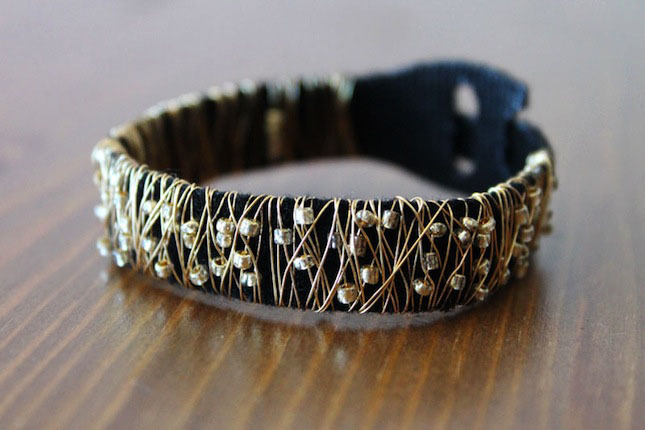 Beaded Wire: This one is our favorite, and the most complex – though still pretty darn simple! Use the same wire as before but this time add beads and wrap. 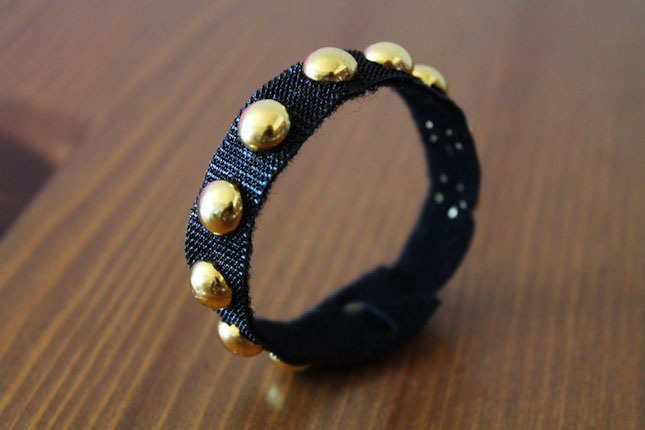 Keep adding beads as you wrap, making sure not to put any beads on the side that faces your wrist. That’s it! 5. 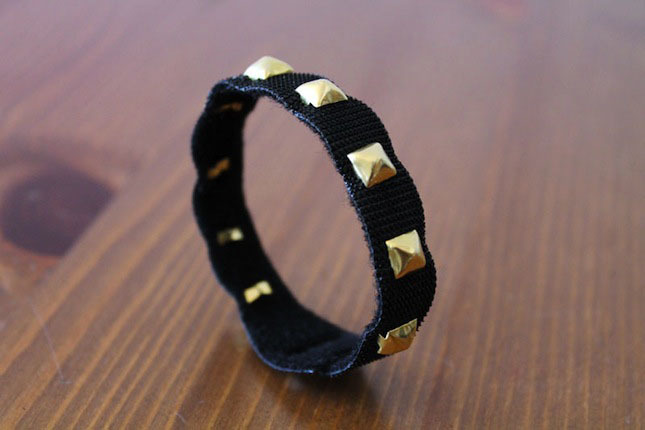 Mini Studs: Last, a mini take on the first studded bracelet. Again, this process is just like any studding project. Use pliers to secure studs on the inside so they don’t poke your skin, and you’re done.